Time to jump into the world of the Mushroom Kingdom and start collecting stars! Inspired from the castle paintings scattered throughout Super Mario 64, these custom prints are ideal for adding a geeky touch to your home decor. 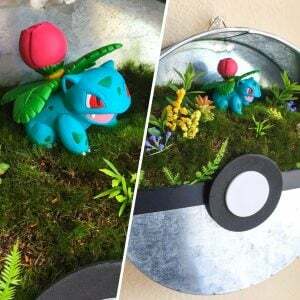 Looking for a nostalgic way to power up your home decor? This NES zapper gun has been up-cycled into a terrifically lamp that’s perfect for any retro gaming fan’s bedroom or man cave. Own a piece of Nintendo history!